Simply follow the steps below to have it set-up in Yahoo Mail within minutes. 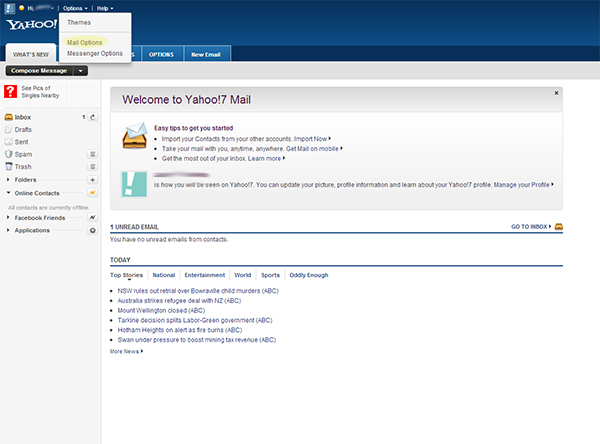 Step 1: Login to your Yahoo Mail Account. Select 'Options' from the top Menu Bar. Once the options menu bar has dropped down, select 'Mail Options' from the drop down menu. Step 2: Once the 'Mail Options' box has opened, select the 'Signature' tab from the left hand side. Then select the 'Show a rich text signature' option from the drop down box.